Since I used to be a teacher, I have had quite a few people ask me what they could give their children’s teacher’s for Christmas. With everyone who is involved in kids lives, it isn’t too surprising that parents often want to give teachers something special, without spending too much money. To me, the best gifts were actually the ones that were homemade and came from the heart since I knew the families put time and effort into the gifts. Don’t get me wrong, I love gift cards, but I usually don’t think of my past students looking at whatever I purchased years ago. The ones I remember are the beautiful scarf one of the mothers made, or the wonderful homemade creams given to me. To me, anything that helped with stress was always a great gift! Being someone who loves mint or peppermint, I especially love bath products with these scents. 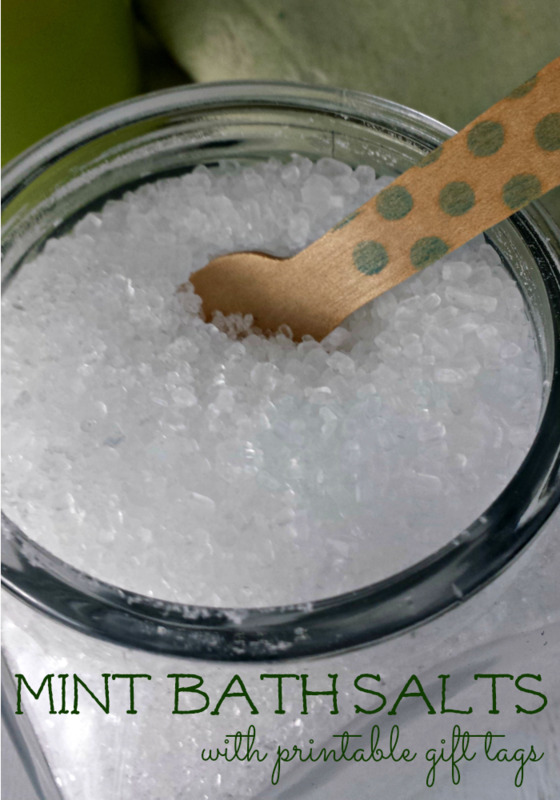 Knowing that many other teachers and ladies are like me, I thought many of you would enjoy this great recipe for making your own Mint Bath Salts. While you can obviously enjoy them at home, they are also a fantastic gift. If you do choose to give this awesome set as a gift, don’t forget to print out the cute labels I included! 1) Add the Epsom salt to a medium bowl, and add the essential oil. Stir to combine. 2) Using the funnel, pour the salts into the jar. 3) Add a ribbon and secure the mini wooden spoon with a piece of washi tape. 4) Download the gift tags and attach for a very special gift. Disclosure: Budget Earth did not receive compensation for this post. Budget Earth may, however, receive compensation through purchases from affiliate links in this post. All opinions on this product are my own and may differ from our readers’ opinions. What a fun project! My wife loves bath salts, too! 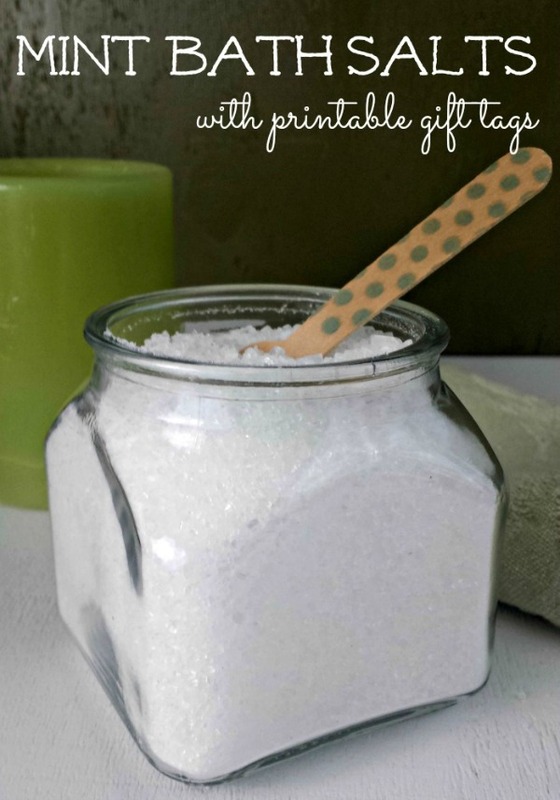 I had never realized till this post that making bath salts was so easy. That would definitely be a great present for teachers and the like. I already have the epson salt I will need to find soem essential oil. Thank you. Homemade presents are more from the heart too! That is so easy and a nice gift idea. Does the oil gunk up the epsom salts at all? What a great gift idea, thanks! SO cute! 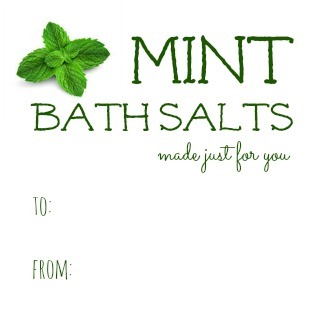 I love the labels and they would go perfectly with my Mint Bath salts. . .although I need to try this recipe as its a bit different!! How do you make yours? I use Epsom salts or Dead Sea Salt for mine (when I have it). I am excited to give this a try, sounds great. I have to try this. This sounds so relaxing and would also make good gifts. I make bath salts every XMAS for my mom. It is a great gift and inexpensive. Thank you for sharing with us. I have been making gifts for friends and this is so nice and so easy. Thank you for posting it and the printable tag. This is a great year round gift idea.Thanks for sharing! These are a great gift and with an attached tiny wooden scoop and if you dye some red then do layers of red and white it would look very festive. I could see myself using lavender as I like the scent better. Wonder if I could do vanilla too?? These might make awesome presents for next year. Might make the spoons too as they are hard to find. I came across this looking for a great mother’s day gift idea. I think this would be perfect for the occasion.